"Giancarlo Pacenti is the best winemaker in the appellation of Brunello di Montalcino. Everything is done in the best possible way and at the right time in his well-kept vineyards and the pristine small winery under his house. His Brunellos are usually a blend of different vineyards from both the south and north sides of the Montalcino hill, giving them great richness and structure as well as freshness. They are aged in French oak barrels yet show very little wood character, and their crystal clear style is one that ages extremely well. " Giancarlo Pacenti is one of the most progressive winemakers of Brunello di Montalcino. His fame has been steadily growing over the last two decades. 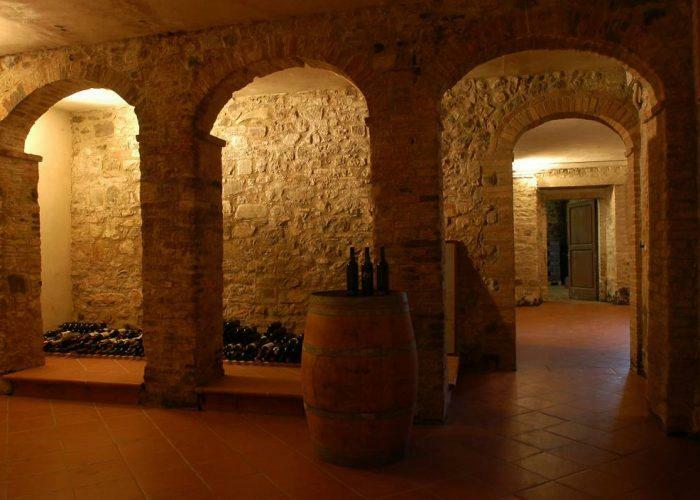 Pacenti, who took over his family's estate in 1988, ages his wines entirely in barrique, with the aim of making clean, rich and intense wines. His fruit is sourced from two family-owned vineyards in very different areas of Montalcino: one to the northeast of the town, Pelagrilli, where the wines show great fragrance, silkiness and relatively soft tannins, and one in the hotter southwest area near Sant'Angelo in Colle, known for full-bodied, powerful, and structured wines. His 'Pelagrilli' Brunello, though a single vineyard, is his entry level cuvee, and one of the best values in all of Montalcino. Coming from slightly younger vines than Giancarlo's Brunello "Classico," the 'Pelagrilli' is a more approachable wine. His 2010 Brunello Riserva "PS" was awarded 97 points by James Suckling. Pacenti's bold style and commitment to excellence puts his wines among the best of Italy. Wine Advocate 91+ "The 2016 Rosso di Montalcino is a bright and vibrant red wine that really pops from the glass. It exhibits a cheerful vertical lift that embraces all the senses. That buoyant bouquet is duly followed by robust cherry flavors with an impressive level of richness and concentration. Wine Spectator 97"Pure fruit here with lot of currant and berry. Full-bodied, with loads of fruit and velvety tannins. Long and delicious. Needs time. Best after 2009. 2,500 cases made. (JS)"